When you can’t decide if you want a large glass of wine or something sweet to eat … have both! It’s no secret that the bar and dining scene in Seoul is producing some exciting – and at times a little peculiar – things. The boom has seen local establishments experiment with a variety of food and drink combinations, with some (the hotdogs-and-coffee craze springs to mind) turning out to be unsurprisingly short-lived. One pairing we can really get behind, however, is desserts and alcohol. Whether you’re looking for a place to wind down at the end of the weekend or somewhere to gracefully celebrate a birthday with friends, dessert bars are the way to go. Tucked among the back streets behind Gangnam-gu Office Station is JL Dessert Bar, owned by well-known local pastry chef Justin Lee. Winner of the 2015 Antonio Bachour Contest, Lee crafts extravagant, sugary creations that are a sight to behold. 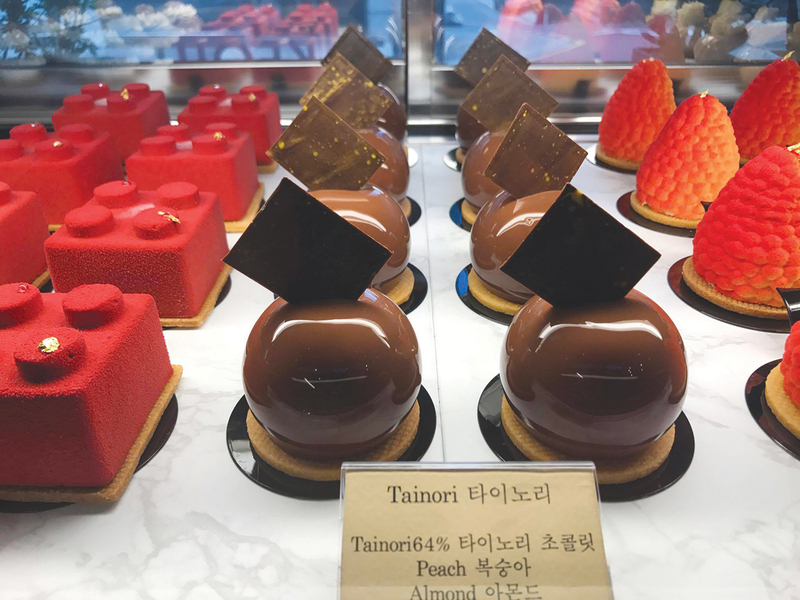 He also heads up the pastry team at the renowned Lab XXIV by celebrity chef Edward Kwon, and so it’s no surprise that many of the dishes at JL Dessert Bar would not look out of place at the end of a high-end meal. À la carte desserts start at KRW 15,000, while the tasting menu, which includes one amuse-bouche, four desserts, and one “finishing sweet,” is KRW 45,000. 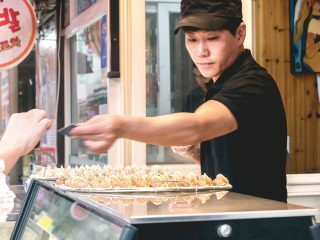 The entrance to Jeanfrigo – a lounge named after the owner, Ji-Ho Jang, and the French word for refrigerator – is, quite literally, a fridge door. While the outside is designed to fit seamlessly into the surrounding old Dongdaemun neighbourhood, the renovated interior is a slick blend of rustic coziness and modern ambience. Enjoy one of the freshly-made fruit-based desserts at the bar, or take your sweets to relax in one of the sunken sofa-tables upstairs. 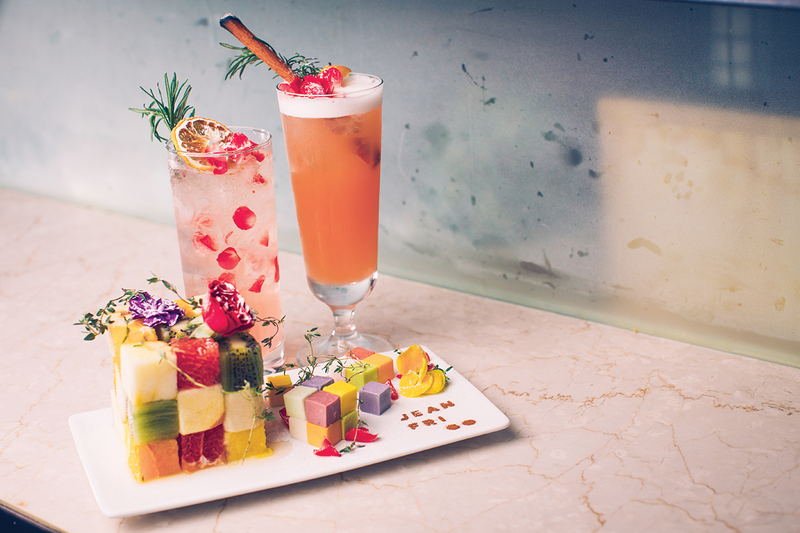 Favorites include the Fruit Chocolate Fondue or the innovative “Fruit Cube,” priced at KRW 39,000. Jeanfrigo’s impressive cocktail list, which includes signature drinks made with traditional Korean alcohol, is available from 6 p.m.. The bar also offers a selection of main meals. Nestled tightly between the independent printing shops and publishers of Euljiro 3-ga, recently-opened Bunkasha is a haven for sweet-toothed hipster-café hoppers and couples looking for a casual date spot. Owner Sangmi Kim, who has lived in Japan, has brought an understated yet decisively cool retro vibe to the neighborhood, which remains otherwise untouched by the gentrification that has transformed nearby areas like Ikseon-dong and Samcheong-dong. 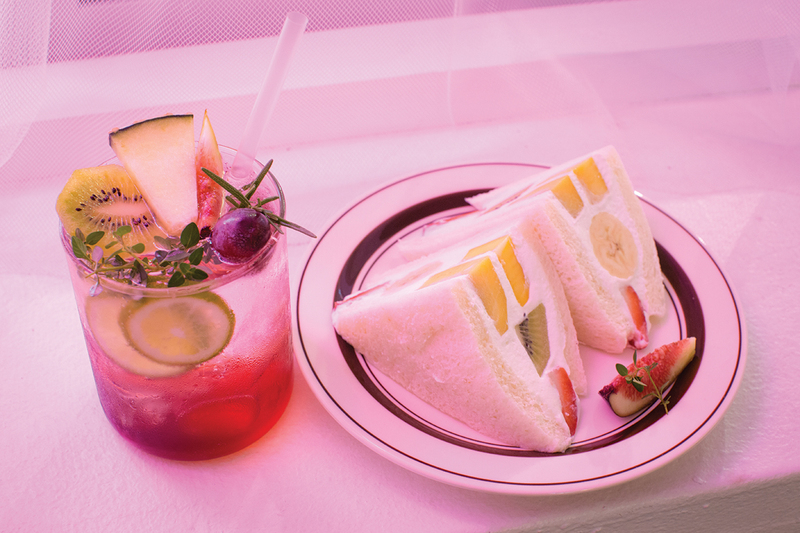 Customers at cube-shaped tables enjoy their drinks and desserts to the musical background of ’70s and ’80s Japanese city pop. Most popular on the menu is the fruit and cream cake, priced at KRW 8,000. Bunkasha also offers a selection of wines, beers and gin-based cocktails. Bover Lounge offers luxury respite after an afternoon of hard shopping, or a great location for groups wanting an afternoon treat. Located in the lobby of Myeongdong’s upscale State Tower, this is not a place to pop in for a quick bite. Sink back into one of the plush armchairs and enjoy Instagramming your order against the well-lit marble table tops. 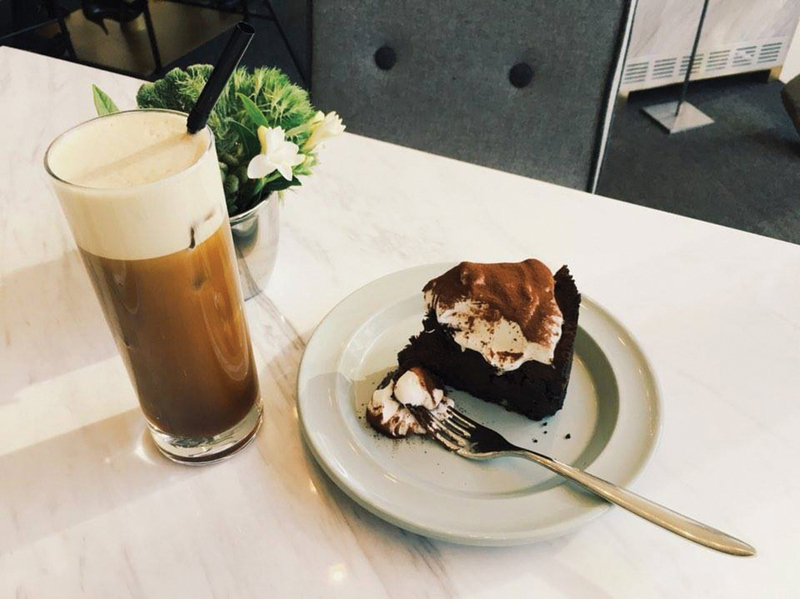 At KRW 12,000 a pop, the (delicious) slices of cake here are best enjoyed at a leisurely pace. Bover Lounge offers a French Tea set from 1:30 p.m. to 5 p.m. daily, priced at KRW 28,000. The set comes with a selection of eclairs, scones, sandwiches, cakes and choux pastries. Cocktails are served from 5 p.m.